Like a magician we must learn our craft. Creative writing is like dealing in magic. We create something from nothing with the flick of our wrist and nimble fingers. Our greatest achievement is to create moments that take our audience’s breath away. Just like in magic, there are tips to learn. Tricks to practice and master. Like a magician, we create illusion. We conjure up plots that thrill, and characters who come alive. The settings flourish on our pages. Our hero’s struggles cause anguish and our heroine’s triumphs bring joy. 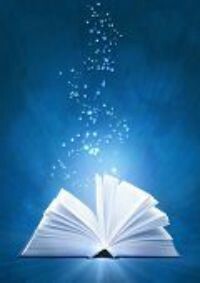 Oh, what magic comes off our pages! Writers are artists, because we strive to both entertain and amaze. The more writing tricks we learn, the more memorable our illusions will become. The most important part is: we can never stop learning our craft. Deep down inside you already know this. John and I have spent years learning the tips and tricks needed to write a Great Novel. We read books, went to seminars and searched the internet. When we discovered a new trick, we wrote it down. Then we sought places in our books to use the ideas. A grandson told us he had published a book. We asked “How many have you sold?” His proud reply, “Eight.”We did not want to simply write and publish a book. like our grandson did. Our goal has always been to write a Great Book. One that piqued our reader’s imagination. Something original. A fantastic read. A bestseller. To be honest, we are still seeking ways to make our novels great. Obviously we still have much to learn. It has taken longer than we ever imagined, but we have kept writing, kept revising and kept learning. What about you? Can you imagine publishing a Great Book? Can you see yourself as an author? We started our website, writingagreatbook.com, because we realized many of you have the same dream. 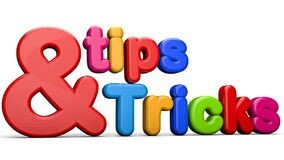 Our website offers you some shortcuts to learning the tricks that will help you amaze your audience. Some of you are new to writing. You have a novel rumbling around in your head. Others tried to write years ago. Started your book, then gave up. Now is the time to pick it up again. We hope the exercises found in ‘Writing a Great Book’ will inspire you. We all have magic within us. It’s only a matter of discovering it. Harnessing it and putting it on paper. Use our tricks and tips to elevate your writing. See our Writing Exercises for an opportunity to practice new writing tricks. Learning new tricks and creative ideas will inspire you to unleash the novel you have dreamed of. An interesting thought: magic is not really magic. Magicians simply know how to perform tricks that make the illusion seem real. To write a Great Book, you must learn how to make your illusion seem real. Because we can make magic with words. Learning the tricks of writing has helped John and I stretch our imaginations, and increase our creativity. I am trilled when I discover a new trick. John gets excited when he realizes he can use the trick in one of our novels. We believe you will feel the same excitement when you discover new writing tricks. Each of us has magic within us. Ideas to share. It is through our writing that the magic will live and breath. We have discovered hundreds of tricks and are certain we have not learned them all. Our reason for creating this website is to share with you the magic we have found. It’s all about becoming better writers. All of us working together. For this reason we would like to hear from you in comments. Join us on this fabulous journey. 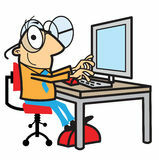 See Writer’s Tools for 36 websites especially for writers. They are all FREE. John and I have written a book for new writers. We have developed a method that will simplify your creative writing. The STORYBOARD METHOD will help you write a Geat Book. We have written four books using this method it is free for you to download. Download SIX STEPS TO BECOMING AN AUTHOR using the storyboard method. This entry was posted in About Us and tagged book writing, creative writing, writer, writing, writing fiction, writing tools. Bookmark the permalink.